Explore the wonders of glow in the dark and perform fun scientific experiments with this glow lab STEM set. 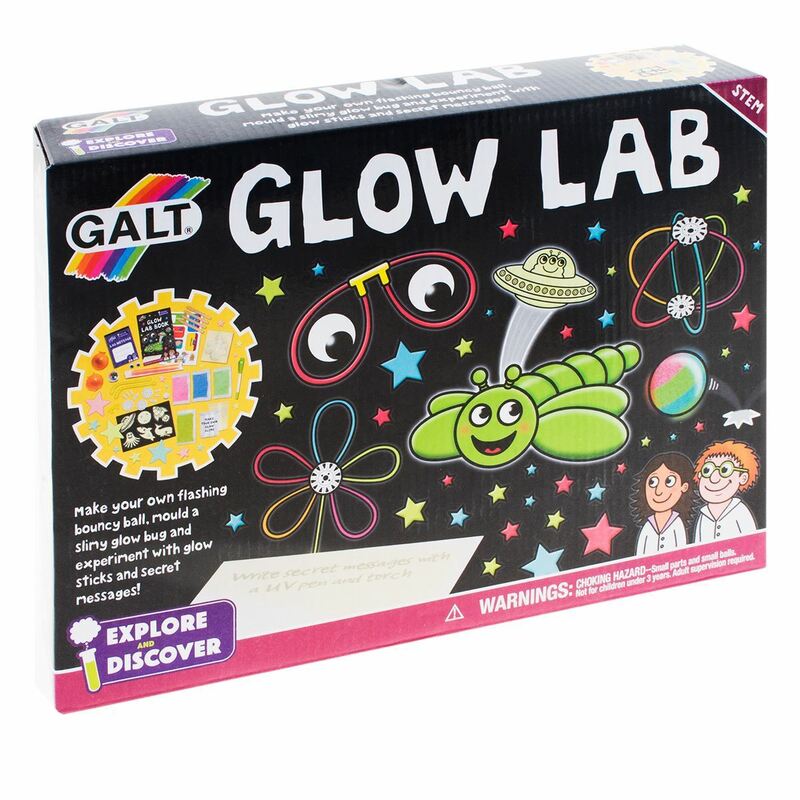 Discover how and why things light up and explore the wonders of glow in the dark using this STEM (science, technology, engineering and maths) kit! 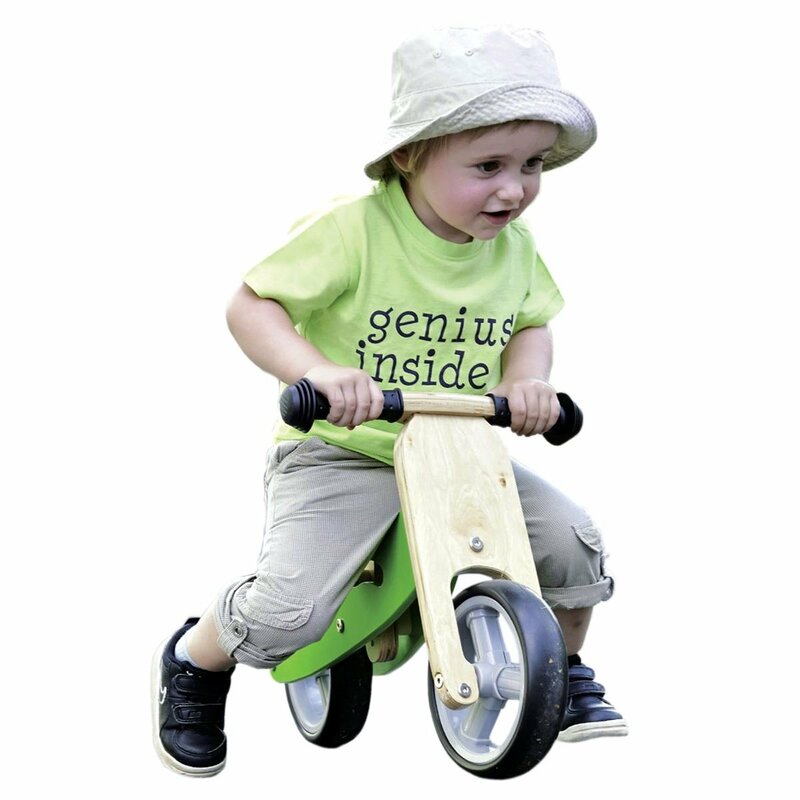 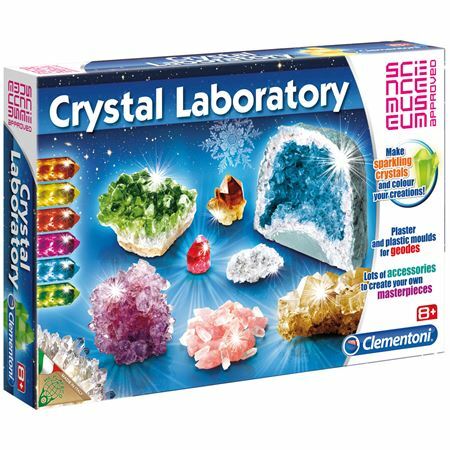 The exciting kit includes a full colour lab book with 11 fun experiments. 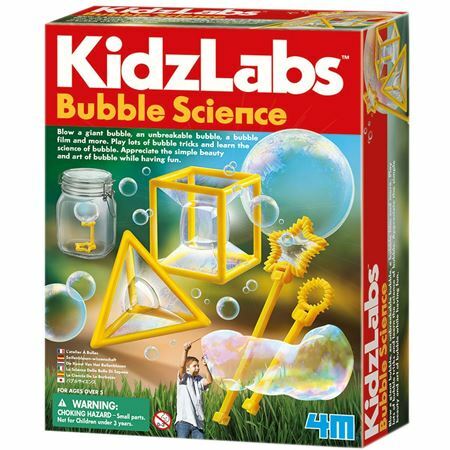 Make your own flashing glow bouncy ball, mould a slimy glow bug and experiment with glow sticks – you can even make fun glow glasses and reveal secret messages written in invisible ink! 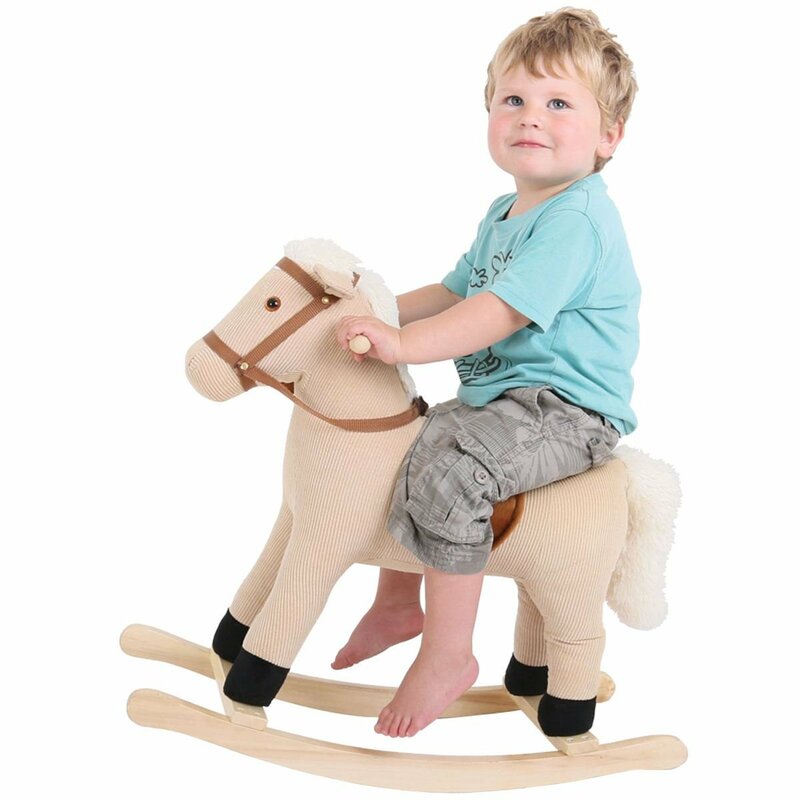 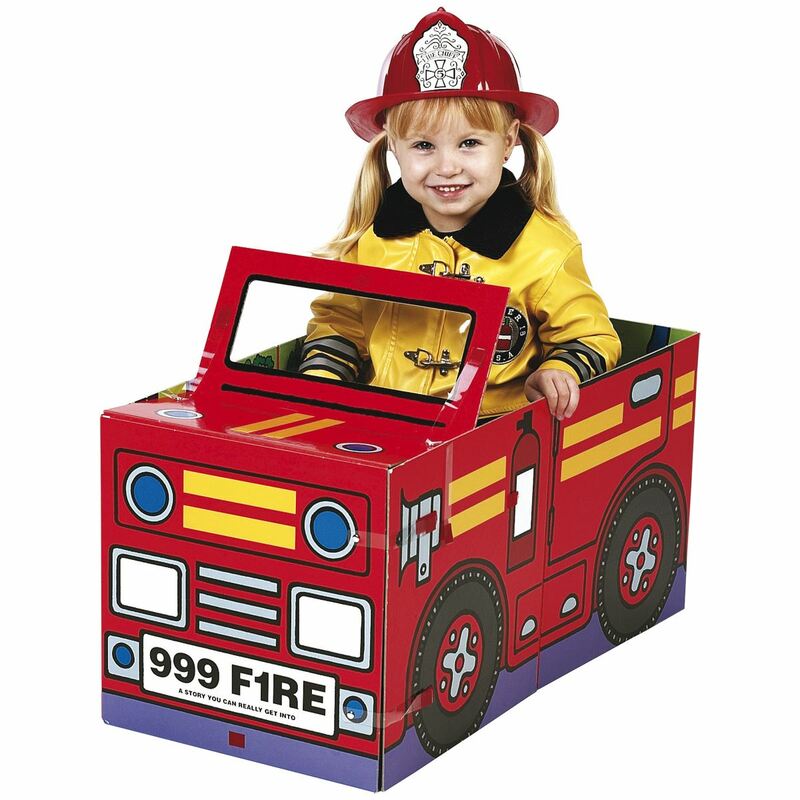 Requires the addition of easily accessible items, such as a banana, sticky tape and other items found in the home. 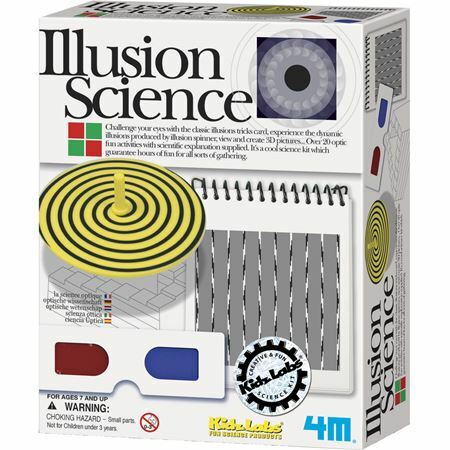 Amazing Illusion Activity Kit with lots of fun experiments!